Description:Looking northeast along Birchgate with Bucknall covered reservoir in the distance. 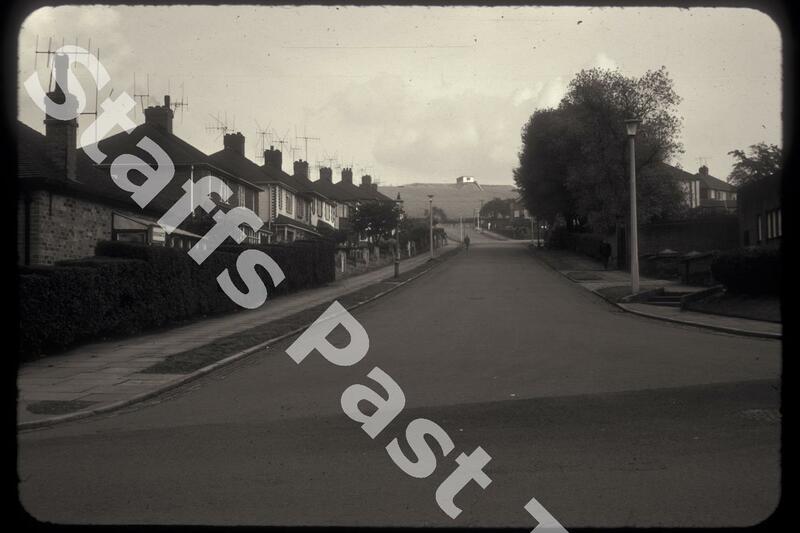 The photograph was taken close to the junction with Werrington Road and Eaves Lane. 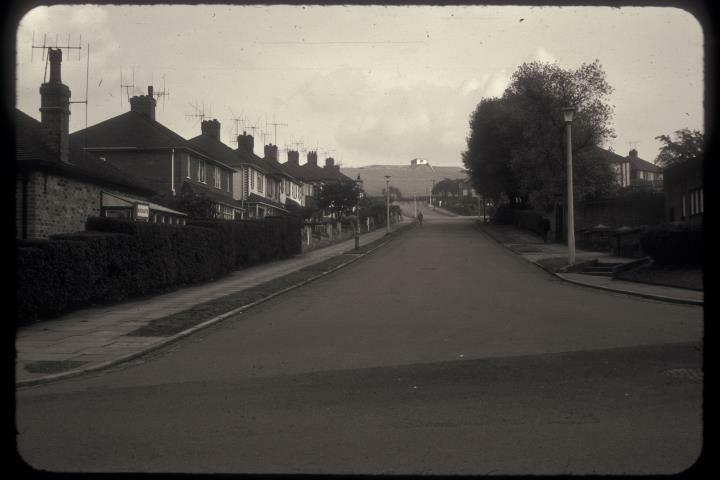 The houses on both sides of the road date from the 1930s.